Paint trends come and go just like other home interior trends but they are one of the most inexpensive ways to completely transform your house room by room. However, if you pick the wrong paint colors or overall color scheme, your home can quickly be transformed into something that is less than appealing. Neutrals are really popular in paint colors right now because they allow you to elaborate with more vibrant colors in your home décor and accessories, all while accentuating the architectural curvature of your home. It used to be the trendy thing to cover every white space of your house with a color but times have quickly changed and now white all white everything is desired more than ever. White is the perfect way to make any room in your house look fresh, clean, and sharp. Paint everything from your walls to moldings in a crisp white to give it a more modern appeal. If your kitchen cabinets are out of date, paint them with a fresh coat of white paint and replace hardware with oil rubbed bronze fixtures for a more modern and up-to-date look. All white rooms give you the opportunity to either add a lot of color for a more eclectic feel or focus more on neutral tones. Grey tones, whether light heather grey or dark slate grey, are popular in many home interior magazines and catalogs. 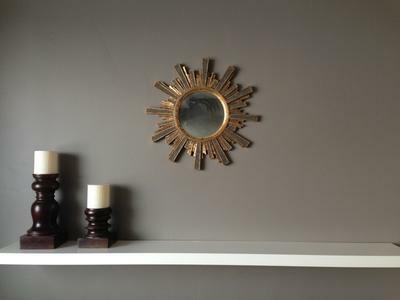 Grey paint can bring an element of sophistication to a room without being over the top. However, there are so many tones and variations of grey available that it can be hard to pick the right choice. Tan has been a popular neutral option for years and luckily, it isn’t going out of style any time soon. Tan paint has warmer tonal qualities than gray paint, but it still gives you the freedom to elaborate with décor in order to add color. For a polished and finished look, add neutral accessories to help enhance the tan walls. 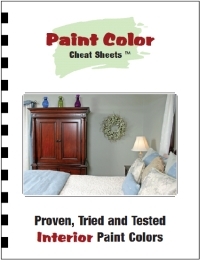 Much like picking any other paint color for your home, picking a tan paint color can equally as trying.